Sleepless in Seattle? No...Boatless in Hawaii! Well I took a step of faith and my boat is gone, yup gone! 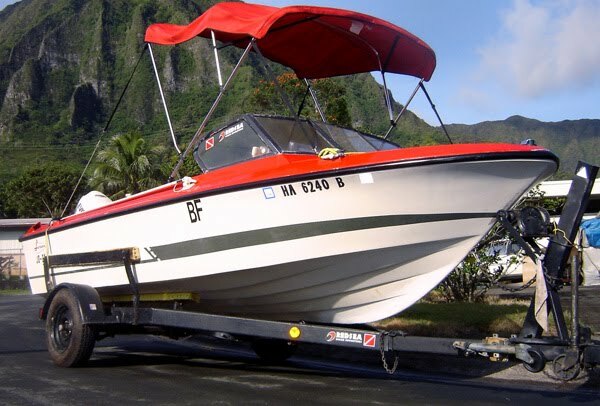 Can't sleep, can't think, can't boat dive on demand...It was a hard decision to make being this boat has brought in so many fish for my family, friends, and the TV Show! Divers in Hawaii are Awesome divers! 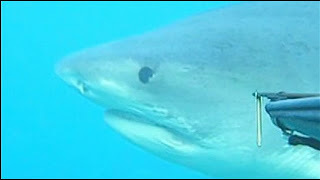 They have great hunting skills and know where to find certain types of fish. 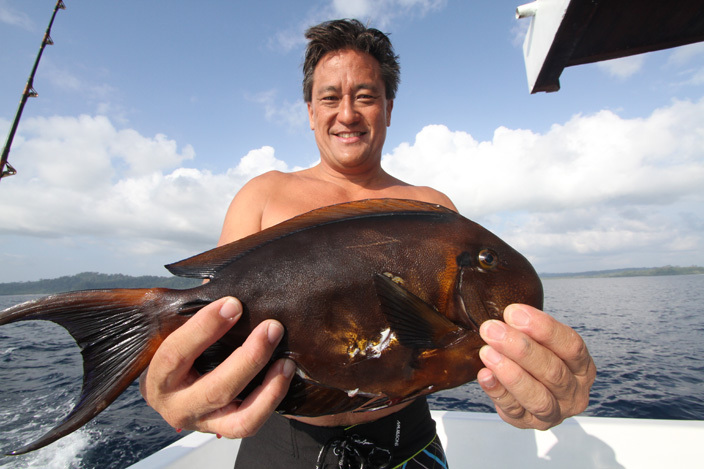 One of the prized catches is a big Ulua or giant trevally and here Kauai boy Jon Barretto shows us how its done. Check out our next episode of Hawaii Skin Diver and see some insane Ulua action! Premiers Aug. 2nd at 8:30 pm on channel 16 or 1016 (HD version). Thanks for watching! 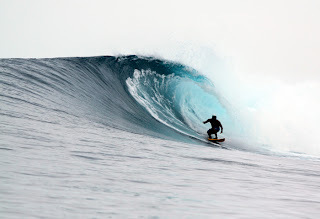 More fun surf from Mentawais 2011. Lances Right is always good but because it is one of the world's best rights it's often crowded. I just need one good one from here to make my trip complete and luckily Yanto our boat guide was there to catch a photo as well. Thanks Yanto! There are a few spots that are uncrowded as well and during this surf session we got it all to ourselves. This left reminds me of concessions left that is three times as long and doesn't close out. Well the surf here in Hawaii has been small and I surfed once for 1 hour since I came back and still jetlagged. I think I should fly back to Indo time and get my sea legs back. If you want to join us on our next trip shoot me an email. 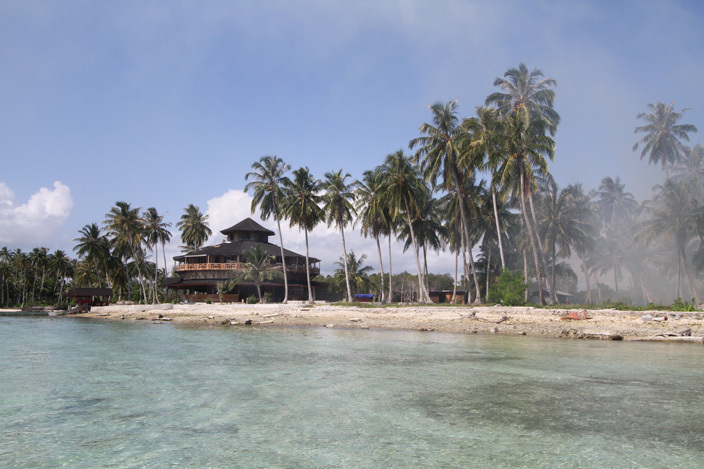 More pictures from our recent trip to the Mentawai Islands. Their are hundreds of coconut palm trees lining the shoreline and if you are lucky you can ask a local villager to get you a fresh coconut to drink/eat. We had a bunch of boys (Steven, Chris, Skye, Rand) who joined us and they had the best time of their lives surfing, partying, joking together. Steven got this nice barrel at Macaronies which made his day complete. One good wave in the Mentawais will scar your memory bank for life. Al Ah Nee also speared his first fish with his new Riffe speargun. This surgeon fish did not let go without a fight and gave him a nice poke as well with his sharp fin. 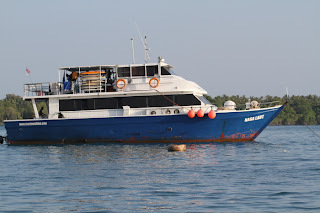 Look forward to many more dives together with Al on our next trip. One of the places I really wanted to visit was the Macaronies Resort as this is where the 3 meter tsunami hit Oct, 2010. I saw this place when they were just about to open and there were bungalows all along this lagoon. Now nothing and they are still not open. I got to talk with a local who was there when the tsunami hit killing about 24 people. The Naga Laut has a great crew and awesome cook, "Boi" who every day provides us onolicious meals. In fact most of the guys thought they gained weight after the trip. I did some diving to catch the pupus along with my partner Al Ah Nee, who speared his first fish with his new Riffe speargun. We got enough fish for our pupu hour each day. This little doggie came by my window. Also got a grouper for the crew to eat which they were happy. But surfing was on each day and for me I enjoyed the opportunity to finally surf good Rifles. This wave is as long as catching a wave from Holtons through inside Laniakea with several barrel sections along the way. It is very fast and hollow and if you are lucky you can score your longest barrel ever. We got three sessions out here and I had lots of fun. Mentawai 2011 trip comes to a close as group of 10 surfers experience the trip of a lifetime. 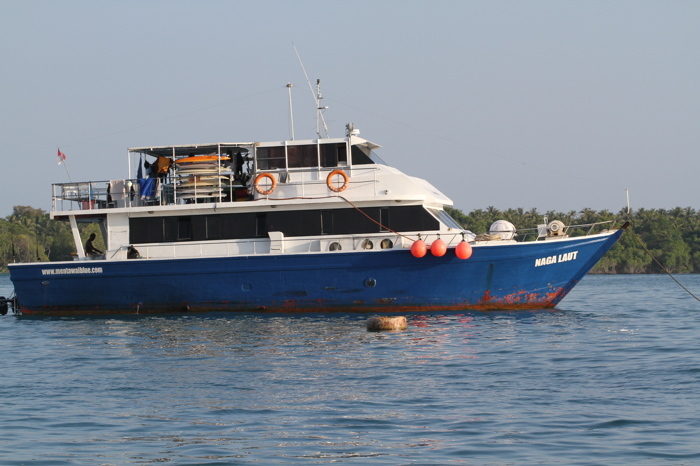 Their home, "Naga Laut", a 70 ft charter boat with a crew of 7 to cater to their every need. Awesome food, spectacular scenery, good friends, what else can you ask for. Every day they were driven to the surf spot and dropped off right in the spot. Wave your board and you are picked up. Waves like this was only the beginning as we surfed over a dozen spots in ten days. Here Chris Murphy was setting up for the vertical off the lip. Macaronies was all time with everyone on it! But Rifles was the spot...More pics to come.